How Frequently Should You Change Your HVAC Filters? Everything You Need to Know. If you have a forced-air system such as an air conditioner, heat pump or furnace, you depend on HVAC air filters to make sure the air that comes out of your system is clean. 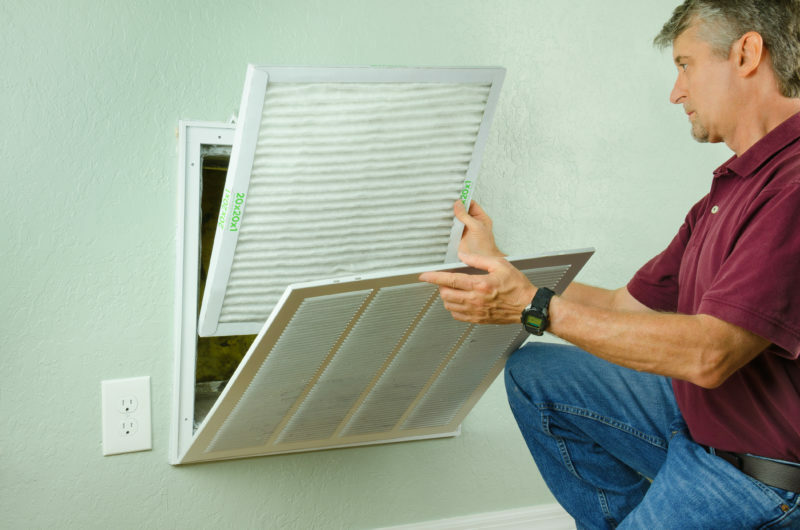 Proper HVAC filter care is an important part of home HVAC maintenance. Here’s what you need to know. Exactly how often your filter needs to be cleaned or replaced depends on the type of filter and how quickly the filter becomes dirty. In general, standard filters need to be checked once a month and replaced or cleaned as needed while the system is in operation. More advanced filters may be good for two or three months. Refer to the manufacturer’s instructions to find out how long your specific filter needs to be maintained. If your system has a reusable filter, shut the unit off and then remove the filter from the unit. Rinse the filter thoroughly with water and let it air dry completely before putting it back. Drying the filter with a paper towel or other implement may damage it. If your system uses disposable filters, don’t try to pinch pennies by getting generic, incorrectly-sized filters from your local hardware stores. These filters negatively affect your system’s energy efficiency and performance. Instead, go to a local authorized dealer to get filters properly sized for your system from the manufacturer. While you’re cleaning or replacing your filter, take a few moments to do a general maintenance check on your system. Take a look at the electrical connections for any rust or corrosion, and clear the space around the system to make sure you have good airflow. Simple steps like these can make a huge difference in terms of efficiency and effectiveness. Keeping your system maintained will lower your utility bills and help to avoid future HVAC repairs. To learn more, check out Advanced Cooling Systems’ residential HVAC maintenance solutions online or call (866) 827-7662.